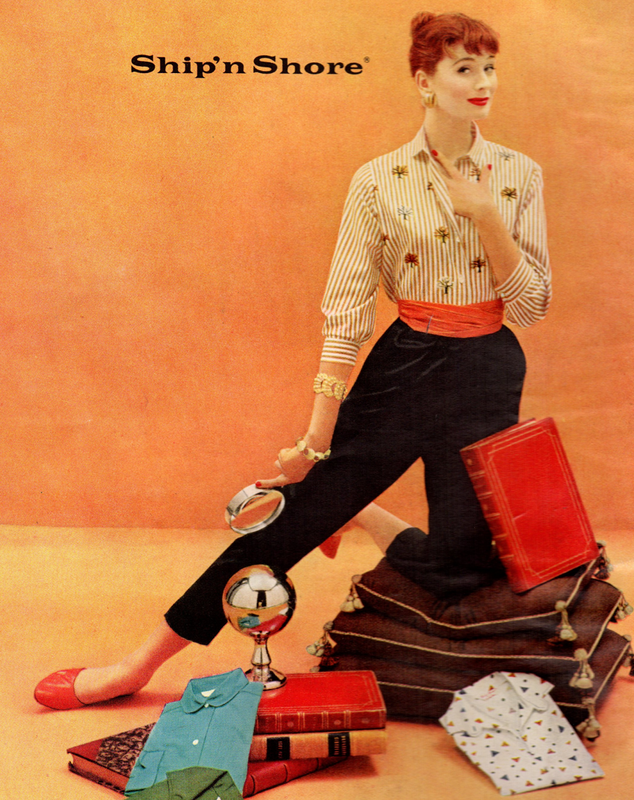 Browsing through a September 1955 edition of Mademoiselle magazine, this Ship'n Shore ad caught my eye. It's casual and ever-so-cute. And I'd seen that particular combination before in my vintage patterns! And sure enough, here it is! 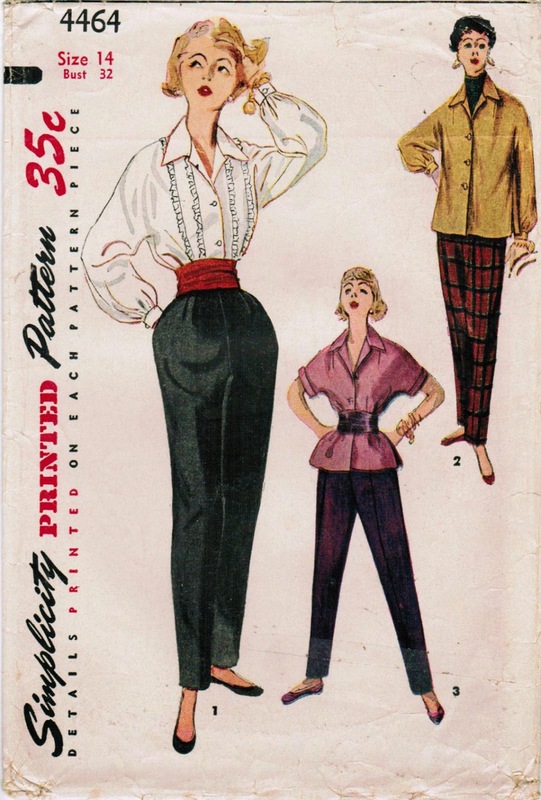 Blouse, tapered pants, and the ever popular cummerbund. Simplicity 4464 has a few differences, most notably in the sleeves - set-in vs. French sleeves, and length. Delightful!